We all know that cars are run mostly on fluids. You may know oil off the top of your head but may begin to get stumped as you try to rattle off the other fluids in your car and their importance. 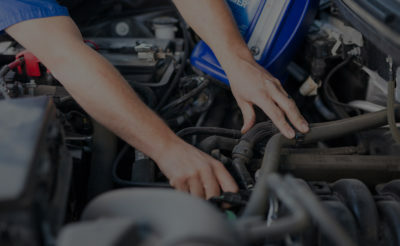 At Ethan’s Honest Automotive, we are not only here to keep your car in shape, but also here to teach our customers why each fluid is important to your car and why it needs to be updated every so often. Just like you would not let a carton of milk sit for too long, you also do not want to let your vehicle’s fluids sit for too long as well. While the outcome may not be as unappealing as long-standing milk, the outcome could become very costly. Oils main purpose is the lubrication of the moving parts of your car. 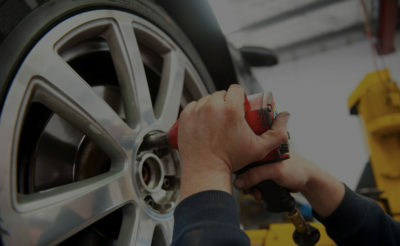 Without oil, you are at risk of overheating because there is no lubricant between the working metal parts of your car. Oil should be changed every three months to ensure that it is up-to-date and also needs to be added to when you expect to go on a long road-trip or just when you feel you have either let the car sit too long without driving or have driven more than usual. Along with oil, radiator fluid also is a component to help keep your car from ever overheating. You never want to run low of radiator fluid, especially in traffic because you will have no choice but to pull over. You always want to be able to see the amount of radiator fluid you have in your car or else you are too low on it. Make it a goal to always check your radiator fluid on a bi-weekly basis just to be extra precautious. Lubrication is the general theme of most fluids in your vehicle and the transmission fluid does just that. Your transmission is one of the most important and expensive parts of your car and if you run low on transmission fluid and the transmission goes, you will be looking at a costly repair. Transmission fluid should be checked by pulling the dipstick out of the engine, wiping off, and then entering it into the fluid compartment again. Seeing how low you are with transmission fluid is key to avoiding a costly fix. We suggest doing this bi-weekly as well for peace of mind. You may think your wheel just turns easily on it’s own, but in fact, if you drove cars decades ago you would know this is not the case. Thanks to power steering fluid, you now can turn your wheel with ease. The fluid keeps the wheel lubricated so that movement is easy. You will be able to know when you are low on power steering fluid because you will no longer be able to move the wheel with ease. This just means you will need to get into the fluid compartment in the hood and easily add more fluid in. Unlike the other fluids, power steering fluid is more out of convenience, but regardless, running low could cause problems. Brake fluid is a very important component of your car, especially because we all need to brake on a daily basis. Brake fluid allows the brakes to work properly and keeps them lubricated for every time you have to step on them at a stop light or for another car in front of you. Brake fluid should not be dark in color and if it is, you should get it replaced by a mechanic soon. These are just a few starters when it comes to the different fluids in the car. You also need to consider coolant, washer fluid, and others as well. Ethan’s Honest Automotive is here to help our Cache Valley customers truly understand their cars and the importance of different components of the car. Contact us or come on in today to get started.